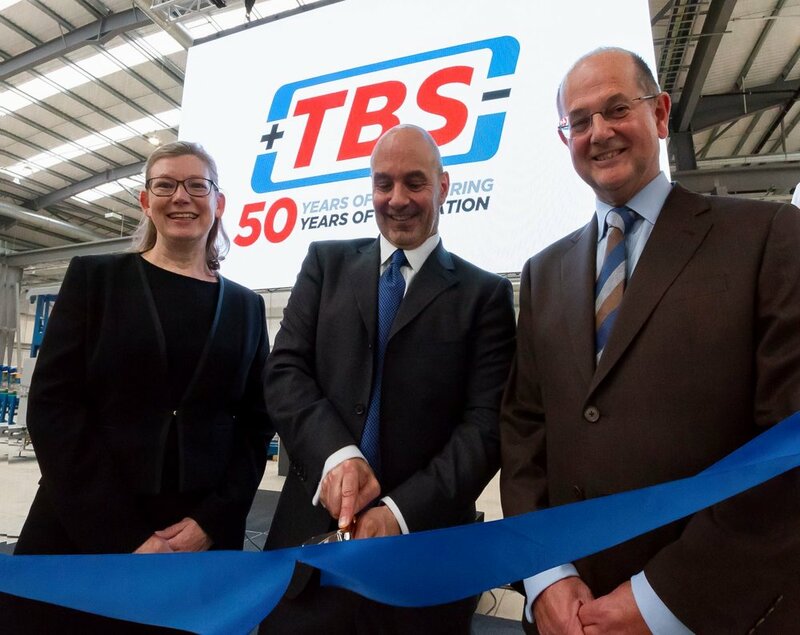 TBS Engineering, the world’s leading manufacturer of lead acid battery assembly and plate manufacturing equipment has opened the doors of its new £15m UK head-quarters. Based in Gloucestershire in the UK the 100,000sq. ft. purpose-built manufacturing and engineering facility includes 80,000 sq. ft. of manufacturing space together with office accommodation. “We’re incredibly proud of our new head-quarters. It marks the start of another exciting era for us developing the latest innovations in world-leading lead acid battery assembly equipment for our customers. The launch coincides with TBS celebrating its 50th anniversary this year. Today the energy storage specialist turns over £50m and employs over 225 people around the world from its operations in China, USA, Canada and the UK. Construction of the development began in June 2017 and completed in April 2018, before TBS began a phased transition into the new building. From 1st September 2018 its previous premises at Lansdown Industrial Estate in Cheltenham will close. Speaking of the future David said: “TBS is on a remarkable journey. We pioneered cast-on-strap technology and continue to lead the way in automation and innovation in our sector. From machines that produced just one battery per minute 30 years ago, to up to ten per minute today. The company celebrated the launch of its new global HQ and 50th anniversary over two days in June. Families of TBS employees enjoyed an open day and tour of the new facility before an official ribbon cutting ceremony, with speeches from TBS Group Managing Director, David Longney and Tom Valvo, Chief Operating Officer of parent company MiTek Industries. The 50-year celebrations continued the next day as they celebrated 50 remarkable years of achievement at a special gala dinner at the Pittville Pump Room in Cheltenham. Posted on August 8, 2018 by Mark Gardiner.